” On 26 November 2018, the Australian Parliament passed the My Health Records Amendment (Strengthening Privacy) Bill 2018. This special report shares some insights about what’s on the horizon for digital health in Australia. The Agency is tasked with improving health outcomes for all Australians through the delivery of digital healthcare systems, and implementing Australia’s National Digital Health Strategy – Safe, Seamless, and Secure: evolving health and care to meet the needs of modern Australia. in collaboration with partners across the community. 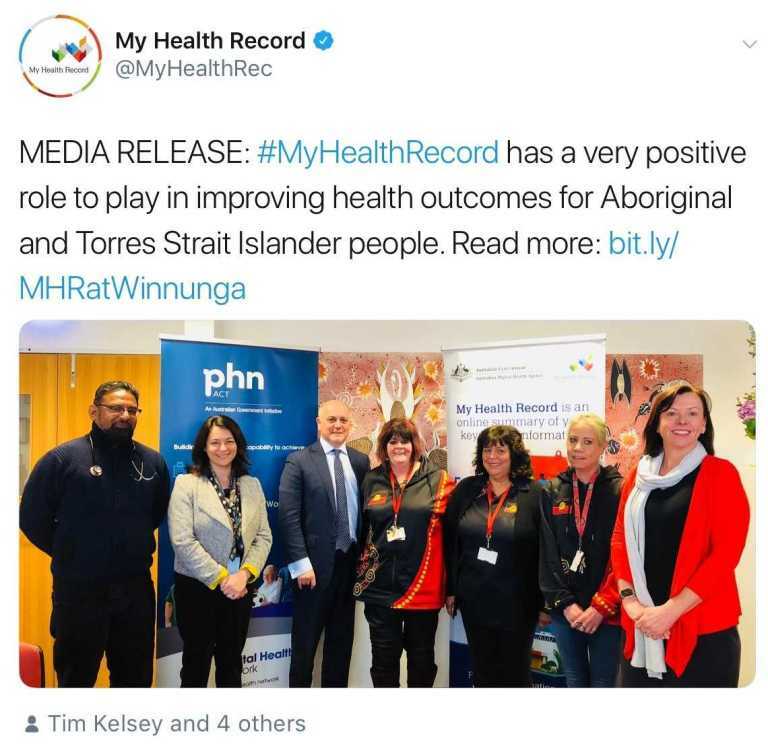 The Agency is the System Operator of My Health Record, and provides leadership, coordination, and delivery of a collaborative and innovative approach to utilising technology to support and enhance a clinically safe and connected national health system. These improvements will give individuals more control of their health and their health information, and support healthcare providers to deliver informed healthcare through access to current clinical and treatment information. As the foundations of Australia’s digital health ecosystem are put into place, it becomes possible to develop and implement new models of care that leverage the capabilities of these foundations. One of these projects is the Children’s Digital Health Collaborative, a joint venture between the Agency, eHealth NSW and the Sydney Children’s Hospitals Network. As Steve Badham reports in this issue of #Share, the Collaborative is now establishing pilot sitesin Western NSW and the Blacktown region of Sydney to connect with local families and discover their needs. Part 2 On 26 November 2018, the Australian Parliament passed the My Health Records Amendment (Strengthening Privacy) Bill 2018. These changes are summarised on this page. The Australian Digital Health Agency will not approve the release of an individual’s personal or health information to a third party except where it is related to the provision of healthcare or is otherwise authorised or required by law. The new measures ensure that insurers and employers are prohibited from using information within your My Health Record, or asking you to disclose your information, for insurance or employment purposes. The primary purpose of My Health Record is to improve your care, and the use of your information for insurance and employment purposes is not healthcare. These changes clarify that our powers as the System Operator of My Health Record can’t be delegated to another entity (e.g. government agency or private organisation) with the exception of the Department of Health and the Chief Executive of Medicare. Send written notifications to people when certain actions are taken, such as when people opt-in to My Health Record. We have also delegated powers to the Department of Health to provide education on our behalf. These changes will provide Australians with greater assurances that only government agencies involved in the efficient delivery of My Health Record are involved in managing the system. The Digital Health Evidence Review, released by the Australian Digital Health Agency, brings together studies comparing My Health Record with similar systems across the world, including those in France, the UK, the USA and New Zealand. “We know through the important national conversation that is currently occurring that Australians expect and deserve strong safeguards, choice and control when it comes to their personal information,” says Agency Chief Medical Adviser, Professor Meredith Makeham. With the Australian My Health Record system, people have among the most choice in how their medical information, such as their tests and scans, are stored and accessed from an international perspective. “Although many countries have laws that allow users to view their health information, only Australia and a handful of other countries have laws that allow citizens to control who sees their information and request corrections to their own health data,” says Makeham. My Health Record is an online summary of a person’s key health information. It allows Australians to share their health information with doctors, hospitals and other healthcare providers from anywhere, at any time. They can control access to their My Health Record including what information gets uploaded and which family members, carers or healthcare providers have access. Only 32 per cent of surveyed countries have legislation in place that allow individuals to request corrections to their data. Only 28 per cent of surveyed countries have legislation that allows individuals to specify which healthcare providers can access their data. “This review demonstrates the My Health Record empowers consumers to personally control their information, including what’s in it and who can see it,” says Professor Makeham. Research Australia CEO Nadia Levin has welcomed the review. “There is great value in sharing information about the My Health Record system and similar digital platforms around the world. This information can support researchers, policy makers and the community in understanding the way personal health records can support better health outcomes and health system improvements, while considering the necessary controls required to build trust in such a system” Ms Levin says. University of Melbourne Professor of Primary Care Research and General Practitioner Jane Gunn says she supports the development and ongoing review of clinical evidence, as it will drive improvements in the digital health system. “Sharing evidence about the way My Health Record and similar international personal health records are used will support clinicians in understanding the benefits of shared health data. “As a practicing GP I can see how My Health Record has the potential to inform better care coordination for my patients, and save valuable time searching for information we need to make safe clinical decisions,” says Professor Gunn. Professor Meredith Makeham says the Review deepens our understanding of the way shared health records are being developed and implemented in Australia and internationally. “We need to understand the strength of the current evidence supporting the use of personal health records, and where we see gaps in the evidence base. “This is important to guide future efforts, working with the research community and others to build our knowledge and inform future digital health service development and investment,” Professor Makeham said. The Review drew on a variety of research sources, including academic peer-reviewed literature, government reports and white papers, World Health Organization (WHO) data, and other information sourced from international governments and agencies responsible for the delivery of digital health services. 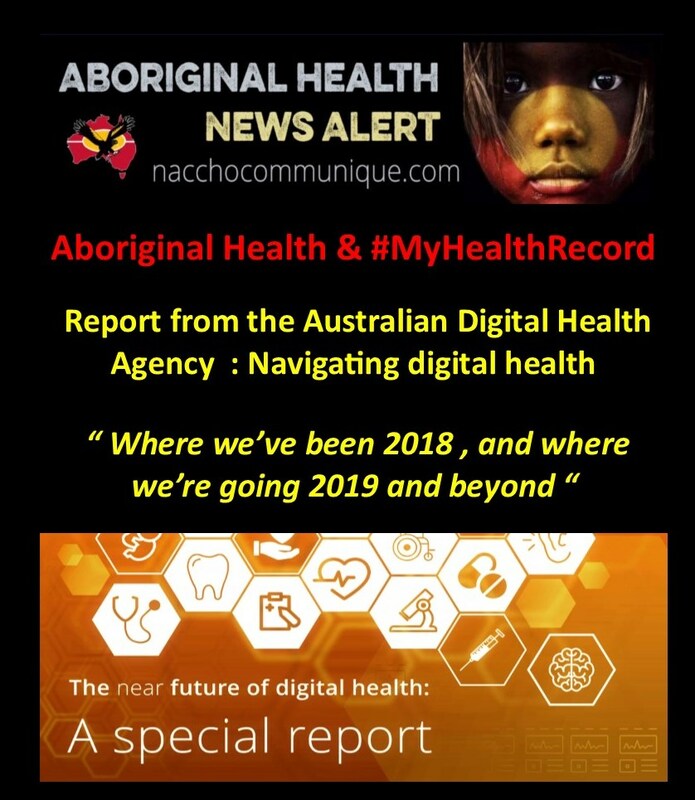 More than six million Australians already have a My Health Record and 13,956 healthcare professional organisations are connected. This includes general practices, hospitals, pharmacies, diagnostic imaging and pathology practices. More information on My Health Record can be found at www.myhealthrecord.gov.au. People who do not want a My Health Record can opt out by visiting the My Health Record website or calling 1800 723 471 for phone-based assistance. Additional support is available to Aboriginal and Torres Strait Islanders, people from non‐English speaking backgrounds, people with limited digital literacy and those living in rural or remote regions. The Digital Health Evidence Review can be accessed at www.digitalhealth.gov.au/evidence-review.